Lullymore is an area of Kildare located in the Bog of Allen that is steeped in heritage and culture. 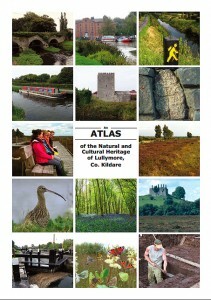 The Atlas of the Natural and Cultural Heritage of Lullymore is the result of a project supported by Kildare County Council under the Community Heritage Grant Scheme 2014. The project aimed to characterise the unique meaning and value of Lullymore to the people who live and work there. The first outcome of this process is to present an inventory of the natural, cultural and tourist resources of Lullymore. The project is an initiative of the Irish Peatland Conservation Council. Download the Atlas of the Natural and Cultural Heritage of Lullymore, Co. Kildare here. Watch a short film (left) showing beautiful wildlife and heritage locations to visit in the Bog of Allen around Lullymore.